The Arboria Astoria 7-ft. Cedar Pegola Arbor with Bench takes you back to the days of simple elegance and understated beauty. This gorgeous arbor features a bow shaped header and well scaled lattice side panels, which adds grace and style to this piece. Create a private oasis in the garden with the comfortable cedar bench included in this package. 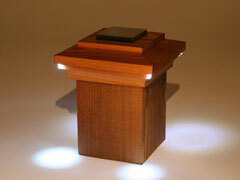 The Astoria is constructed of a beautiful Western Red Cedar, which is naturally resistant to moisture and insects. You can conserve this cedar wood’s original beauty by treating it with a weather resistant stain or clear coat or leave it untreated for a natural weathered grey look. This product comes partially assembled, so some assembly is required. Easy-to-follow, detailed instructions are included along with all necessary hardware. Ground stakes are also included for added stability and are intended to be used with concrete for a permanent installation. The Arboria Rosedale 7-ft. Cedar Pergola Arbor is a well-proportioned and handsomely detailed pergola-style arbor. 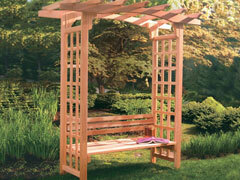 This arbor is constructed with beautiful Western Red Cedar, which is naturally resistant to moisture and insects. Leave the cedar wood as-is for a natural weathered gray look over time, or treat with a weather-resistant stain or clear coat to conserve its original beauty. This arbor features curved and rounded corner braces that add rigidity and echo the circle cut tips of the 2 x 6-inch headers. 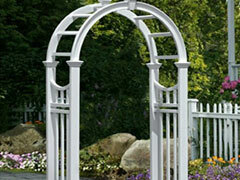 Rounded trellis ends lend a custom touch to this arbor. The width opening is adjustable, from 36 inches up to 48 inches inside. Making a grand statement without being overly done, the Coral Coast Willow Creek Metal Arbor – Black brings dimension and uniqueness to any backyard. Crafted of durable metal in a classic black finish, this arbor features a climbing vine design and expertly crafted curves and swerves throughout. 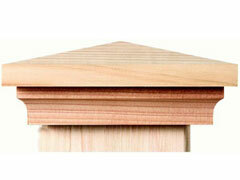 Four reliable ground stakes will keep the arbor in place and it’s easy to assemble and maintain. The ground stakes make it easy to move the arbor to another location, too. 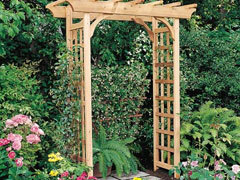 Give any entryway or path a touch of drama and beauty with this adorable arbor. Its vinyl construction keeps it looking amazing from year to year. It naturally blends with your landscaping to offer vines and flowers a way to accent its traditional design every season. Ideal for entryways, gardens, or pathways it brightens up any landscaping with a touch of classic elegance. Cedar post caps. Fits over a 4″x4″ post. Solar Accent Lights are just one example of the unique, yet practical touches you can add to your outdoor deck or fence project. 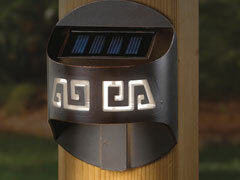 Add an intimate glow to your rail or fence post—without the hassles of wiring or electricity. 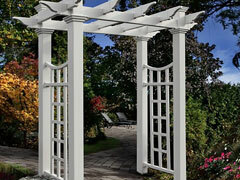 Bring a touch of the New England countryside to your garden with this charming pergola-style arbor. The New England Arbors Fairfield Deluxe 7.75-ft. Vinyl Pergola Arbor will make a lovely addition to a walking path in your yard or an entrance to your garden. 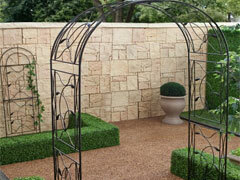 The flat-top pergola design and lattice side panels create a practical support system for climbing vines and flowers. 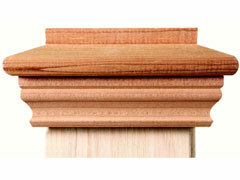 The sturdy posts are topped with attractive crown molding accents and measure 4W x 4D inches. The bright white finish will refresh your landscape with its crisp, clean appearance, especially when adorned with vibrant greens and blooms. Cedar Solar post caps. Fits over a 4″x4″ post.